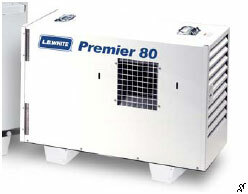 Rental Rate: $99.00 Additional charge for propane usage. Tent heaters are the best way to provide heat to tents. 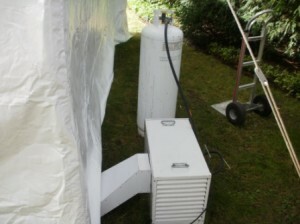 The heating unit and fuel source are outside the tent and the hot air is vented inside the tent. If you’re concerned about your guests comfort on a chilly spring or fall evening tent heaters are a great way to warm up a chilly tented area. Our crews will install the tent heater, duct it to the inside of the tent, install a thermostat on the inside of the tent so you can control the comfort level inside the tent, connect the propane tank to the heater outside the tent, connect the heater to an electrical outlet, and test the system to make sure it is working properly.